Shutter Island is an American Psychological Film that expresses a lot of disorder and dissociative identities disorders, especially from the main character of the movie, Leonardo DiCaprio. The movie is a reflection of the Dennis Lehane’s novel of 2003, which was later produced as a non-noir psychological thriller. It was directed by Martin Scorsese. The gist of the movie is the investigation of a psychiatric facility on Shutter Island after a patient disappears. This discussion will, therefore, focus on the analysis of the main character, Leonardo who suffers from a lot of disorders. In the movie, Leonardo DiCaprio begins as a marshal of the United States of America, where he investigates a psychiatric facility of Shutter Island primarily due to the disappearance of the one patient Rachel Solando. She was incarcerated for the act of drowning her three children. What leads Leonardo to her is the note found in her room. Their journey is delayed for three days on the Island due to the massive storm that affects the movement to the mainland. A controversy arises when Leonardo finds the doctor who was caring for Rachel also absent for a vacation, especially after the disappearance of the Solando. This creates a discussion, making them demand a full access in the hospital, and being warned against accessing ward C. however, as the investigation goes on, a patient writes to Leonardo Warning him to run. Dissociative identity disorder is one of the diseases that Leonardo suffers from. This condition is characterized by possessing different identities. Recalling for essential episodes of one’s life being among the most common symptoms of the DID. According to the movie, Leonardo finds it challenging to remember where he left his partner Aula, mainly when he wanted to access the restricted room by claiming the Clift and the partner are separated from him. An analysis of the investigation of the Shutter Islands which he conducts also is characterized by a mix-up of information, especially the explanation of how Rachel ends up in the facility as a patient rather than a doctor. During their investigation as well Leonardo sees the body of Aula on the rock. When he gets down, the organization had disappeared, and he could not recall where the body was. This is a sign of hallucination, a condition that characters the Dissociative Identity Disorder. The disappearance of the body creates a healthy fear to Leonardo which furthers the situation. The story is therefore based on the disorder that affects the brain and how it operates. Further analysis shows that when Rachel appeared me from the cave, it becomes difficult to understand how it happens since the prior knowledge of Leonardo was based on the fact that she had disappeared from the island and no one can access the place she went. However, Leonardo does not bother to ask how she reemerges. This gives rise to the question of the memories of the personal identity for the Leonardo. The inability to remain straight to one process is one of the indications. This includes the fact that breaking into ward C is abandoned after discovering that his partner was gone and hence had to look for him in the lighthouse. These are some of the significant signs id the DID and consequently interfered with the ordinary conduct of the investigation. However, there are also signs that can easily be observed from an individual suffering from the condition, among the signs include, disagreeing personalities of an individual, each person with its memory social relations and behavioral character. Stress in such individuals causes a sudden transformation in the individual’s personality. These are the significant signs demonstrated by Leonardo, in the movie Shutter Island. 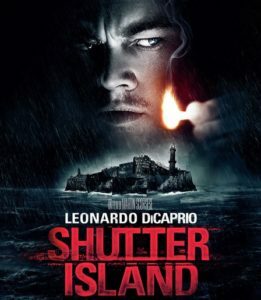 The movie, Shutter Island also possesses a lot of delusional disorder, especially from the main character Leonardo. These can be seen in many cases where of his action throughout the movie. Without following any order, the f the fact that is partners disappear from the rock, where he saw him before climbing down the cliff make him have a firm belief that he had been taken to a lighthouse. Without any evidence of the disappearance, but rather a current understanding of being born, he switches his investigation to finding his partner on the tower. This firm conviction without proof of truth is a symptom of delusion. It gives an individual a firm idea that something exists while in the real sense, it does not. A further indication of delusion disorder as shown by Leonardo is the fact that despite the fact that the doctor told him that the lighthouse had been searched and wards C is a secured place. He still insists on accessing it since he firmly believed that Rachel could still be holding in the areas. Therefore, his efforts to prove other the truth make him and his partner make a move to investigate the ward. Moreover, the existence of the mistrust in the side of Daniel is one of the most common cases of delusion. Therefore, the investigation conducted by Daniel and his partner, in the movie about Rachel and other rising cases do not have reliable, facts but rather beliefs on that there might be something that the hospital is hiding. Dilution disorder is a condition where an individual has fixed beliefs that do not change even if the individual is presented with attached evidence of the nonexistence of the faith. In most cases, the view is referred to as a bizarre, especially when the idea is implausible and peer within the same environment are not in a position to understand them. An example is when an individual believes that he possesses an organ that does not belong to him and the replacement has been done without leaving any scar. In the case of Leonardo’s case, the belief that his wife was killed in a fire set by a local arsonist is one of such instances on t of the bizarre delusion disorder. There exist different types of delusion disorder that might affect an individual. These include the aromatic where an individual believes that a person that belongs to a higher social class is in love with him. Grandson, on the other hand, is a belief that he or she has a great, talent but others fail to reorganize it. Jealousy, persecutory, somatic and missed dilution is among the common types of disorder that affect an individual. In the case of Leonardo, known as Daniel in the movie, he suffers from persecutory delusion disorder, where he fails to believe what the doctor told him about Rachel, ward C, and the lighthouse. Different signs and symptoms characterize the delusional disorder. Apart from the unusual symptoms, there may be other bizarre symptoms that happen in real life, but not happening to the individual in question. These people with delusional disorder always function very well in their day to day life only that in the cares of manic cases where hallucination happens may result in the abnormal practices of an individual. These people may express violence due to the high level of anger that they may possess. Therefore, delusional disorder is what pushes Leonardo to investigate everything on the island. Post-traumatic stress disorder is in of the most presented condition that Daniel suffers from this is a condition that results in experiencing a long time of trauma. In the case of Leonardo, the fever and the constant dream of his wife, especially after her death made him suffer from a long time of trauma, resulting in a post-traumatic stress disorder. One of the places the injury can be seen is where Daniel falls dizzy then dreams of her dead wife and how she died this is a clear indication that he was suffering from their trauma. Moreover, the presentation of the trauma is the stress to fulfill and find the people responsible for the death of his wife this gives. This gives him an urge to continue investigating crime cases; this is shown by his willingness to research on the end of Rachel children and finds where he hides in the effort to investigate the truth behind her action. The post-traumatic disorder, therefore, interferes with his decision making and exerts a lot of pressure on him to find a solution to the cases of those results from crimes. The post-traumatic disorder is a mental condition in most cases triggered by terrifying events, which an individual experienced or is expecting to happen. The constant flashback, nightmares and constant severe anxiety including an uncontrollable memory about development are among the typical symptoms of the post-trauma disorder. These people find it difficult to cope or adjust to the new reality. The symptoms may interfere with the day to day operation of an individual in severe cases. Post-traumatic stress disorder can start within one month of an occurrence, but the symptoms may begin to appear years after the start of the condition. The symptoms hence interfere with the social relations of the individual. It also prevents them from carrying their daily activities. In the movie the main character suffers the past scary memories of the death of the wife, therefore, interfering with his ability to investigate the problem that happens on the on the Shutter Island. A father analysis of the of the of the post-traumatic stress disorder reveals that the intrusive memories, characterized by recurrent, unwanted and distressing memories of the event, as well as fresh thinking of the traumatic event whenever they occur again. The existence of a severe emotional distress, therefore, prevents one from concentrating and carrying his or her day to day activities in a thorough way. These can be seen in the case of Leonardo. An individual can avoid post stress trauma disorder through avoiding the memories of the past occurs, especially occupying himself with the new exciting thing in a stimulating environment. There is a need to avoid negative thinking or engaging in events that may trigger the memory of an individual to think o0f the past game. In conclusion, the movie, Shutter Island exploits the psychological factors that affect the mind and the occurrence of disorders. The hospital, therefore, researchers on the control mind activities that may help to cure any chance of the confusion that affects the brain. Leonardo finds himself on their Island, not knowing he also suffers from the condition. This, therefore, gives an opportunity to understand how the disorders may affect an individual way of thinking and operations.